"I’m a problem solver and a critical thinker. If you’re stuck, I want to be involved in the solution." Ray doesn’t just build relationships — he’s building a better province. 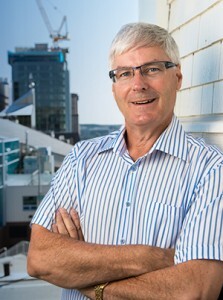 For over 30 years, Ray Ritcey has put his energy into Nova Scotia. As a pioneer in the natural gas sector he helped change the face of energy in our province. And he’s made many lifelong friendships along the way — a testament to his character, as well as how seriously he takes his commitments. His new role on EastPoint Engineering’s Advisory Board will bring his unique vision, passion and energy expertise to clients and projects. Ray has always said he wants his business legacy to be a stronger Nova Scotia. That’s exactly the kind of person we want on our team. Welcome to the team, Ray.